Updates to Oracle Hospitality OPERA Cloud Service continue to redefine how hoteliers engage and serve guests, from the time they make their reservations through to check-out. With a plethora of new innovations, including a completely redesigned user interface and deeper customer insights, OPERA Cloud Service enables hotel personnel to focus on better connecting with guests and delivering personalized experiences to keep them coming back. OPERA has long been the preferred hotel management platform for thousands of hotels from the world’s most recognizable brands to independent properties. OPERA Cloud brings the same comprehensive features to a cloud-based, mobile-enabled platform. In addition, OPERA Cloud Service now offers open APIs enabling faster and easier integration with third party providers that hotels can leverage to deliver unparalleled guest stays. By moving the property management system to the cloud, hotels can reduce dramatically their IT complexity. -Streamline Reservations: a new “look to book” feature provides room type and rate inventory for single- and multi-property reservations via a shopping cart view for faster booking. Existing reservations are easily located via several search options, and one-click access to guest details helps staff understand which guests are VIPs, repeat customers, loyalty members as well as their preferences. Group bookings have also been streamlined. -Ease Arrivals & Check In: new features allow hotel operators to make the check-in process seamless and consistent with a set of customizable steps. OPERA Cloud is mobile-enabled, allowing staff to check-in guests on tablets, eliminating long lines and guest frustration while delivering a more personalized check-in experience. -Simplify Check-Out: enhanced check out capabilities make it easy to settle bills, including preparing and routing bills with multiple folios. Drag and drop functionality makes it easy to transfer a posting to another folio or room. Integration with EMV credit card settlement eases payment processing from the desk or a mobile tablet makes it easier to serve the customer in the most convenient locations. Empower Staff: available in 20 languages, the enhanced OPERA Cloud Service offers additional capabilities that make the guest journey even more rewarding while empowering managers and personnel with detailed reports and insights. -Improve Corporate and Property Reporting: with three out-of-the-box standard dashboards and sample reports, hotel personnel from operations managers to revenue teams can swiftly view and deliver insights such as average daily rates, room revenue by property, guest profiles, reservation blocks and sales and catering information. -Enhance Staff Productivity: OPERA Cloud’s “I want to” panel enables personnel to easily find tasks they need to perform such as assigning a room, canceling a reservation, checking in a guest, or creating an invoice. With OPERA Cloud, all departments from concierge and valet to housekeeping and maintenance, can leverage mobile devices for tasks that will make the guest journey superior. 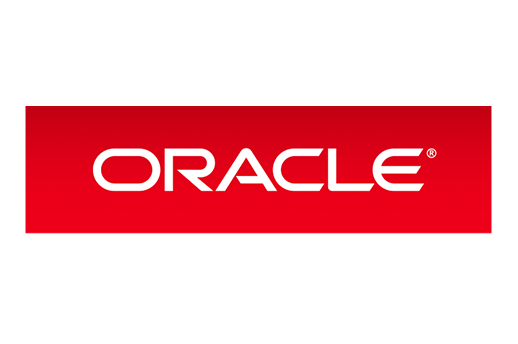 Oracle Hospitality offers a range of software, hardware and related services—including a leading portfolio of cloud solutions for hotel and food and beverage operations—designed for the hospitality industry. Oracle Hospitality brings more than 40 years of experience in best-in-class technology solutions that help our customers elevate the guest experience, streamline operations and enhance profitability—all while reducing the cost and complexity of IT. For more information about Oracle Hospitality, visit oracle.com/hospitality.